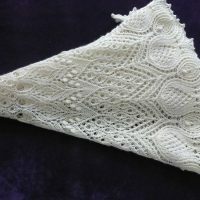 Custom Order: Snowy Thistles shawl. Wrapped in the warmth of Merino and cashmere, this lovely Snowy Thistles shawl will feel like a nurturing hug while wearing it. 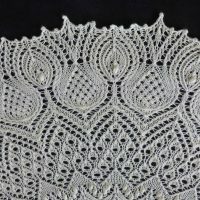 Soft and cozy, this lovely natural-colored, winter-white yarn is just the ticket to show off the stitch definition of this Scottish Thistles pattern. Wear it with your favorite pair of jeans or dress up a business suit, either way, this shawl is a wonderful addition to your wardrobe. I absolutely love this pattern! 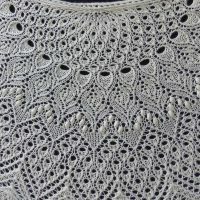 I think it has surpassed my favorite “go to” Aeolian pattern to knit. It’s complicated, but not fussy, giving the right amount of variety and interest to make it an easy knit for me. Or maybe it’s because I’ve made so many that the pattern now seems easy to knit. Hard to say. I just know that I love knitting it. Good thing too, as there’s another one one my needles in BFL and silk. I also love this yarn with this pattern. The stitch definition is fabulous with the MCN mix. 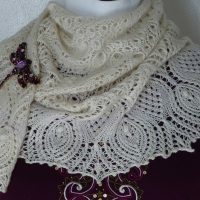 And there’s just something about a natural colored shawl that just shouts sophistication. I hope the person who gets this loves it as much as I do. Size: Measures 46″ from edge to edge on the neck selvage, 120″ across the bottom edge, 22″ deep. 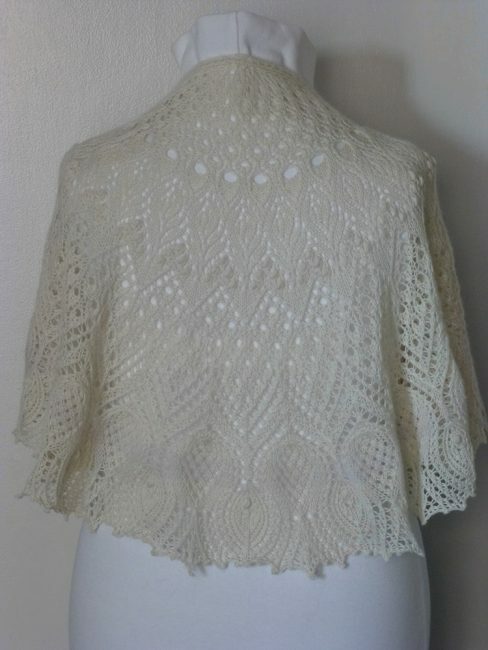 This shawl is a custom order. 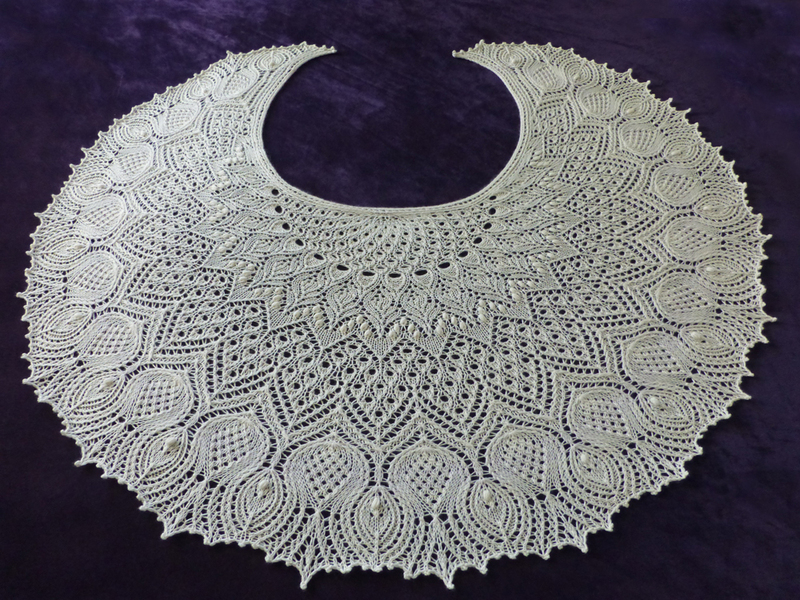 *Special thanks to Anne-Lise Maigaard (Scottish Thistles shawl) for creating such a lovely pattern.